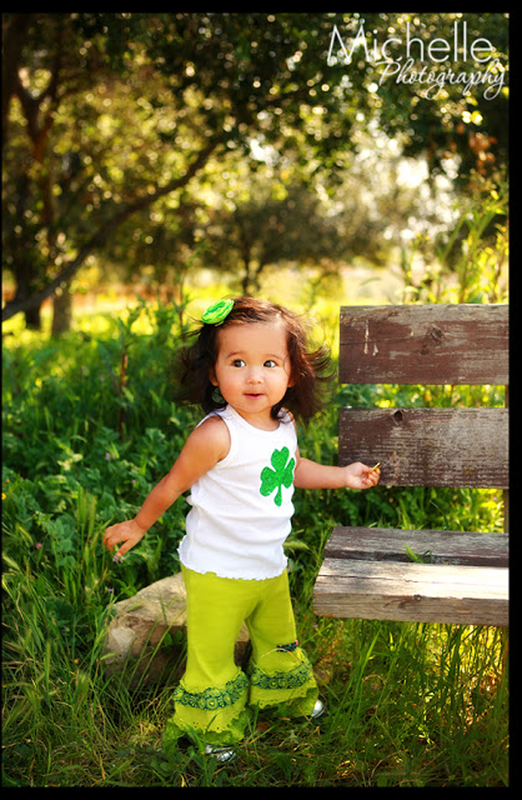 Ok isn’t baby Mika adorable in her sparkly shamrock tee?? 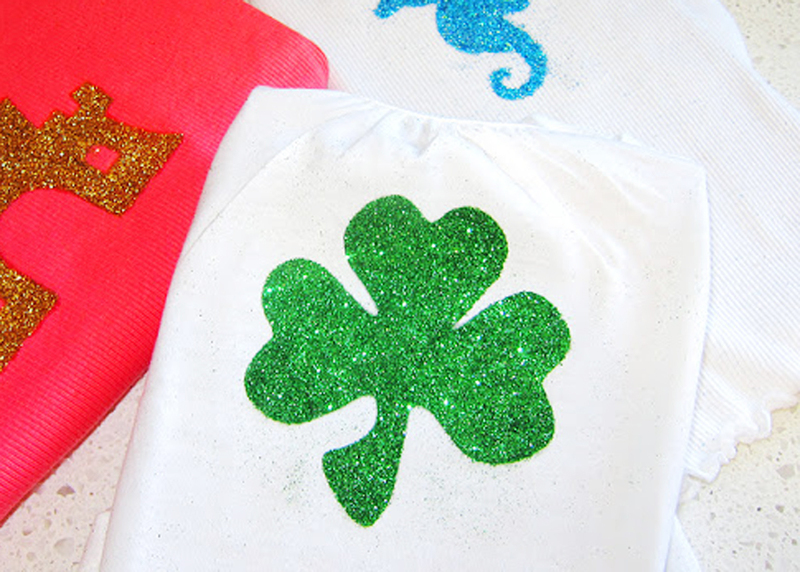 If you’re feeling crafty for St. Patrick’s Day this year but don’t have alot of time, I wanted to share a popular post I did a couple years ago on the iCandy Handmade blog for this DIY Shamrock Glitter Tee. This is a super simple tutorial you can make with your kids very similar to the DIY Mermaid Glitter Tees we made HERE. 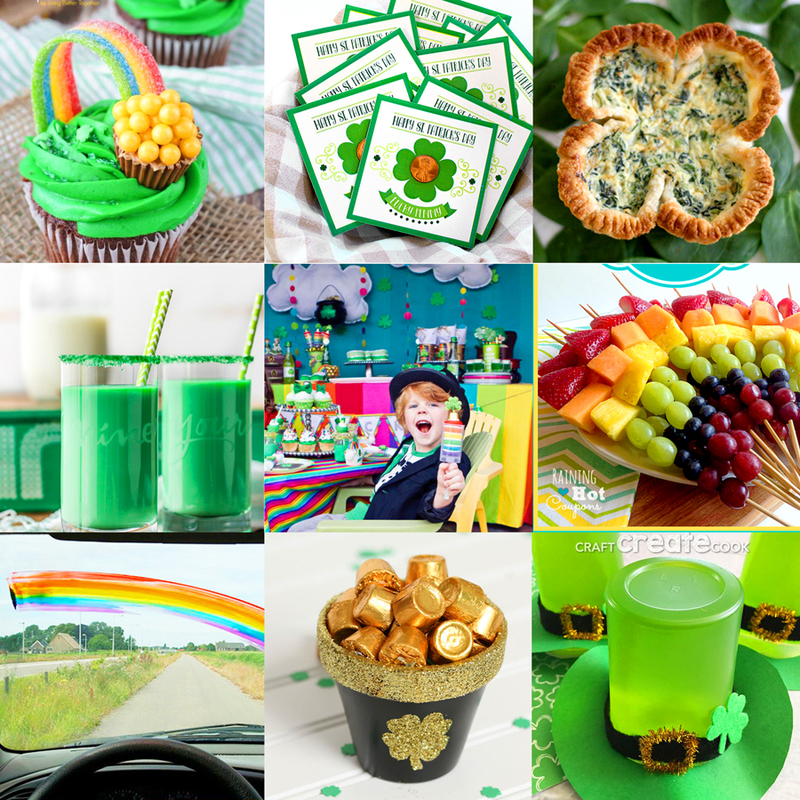 This adorable Shamrock makes a big impact with all it’s glittery goodness and will let your kids rest with assurity that they will not be pinched on this fun day! For the full tutorial head over to iCandy Handmades post by clicking HERE. *Please note you do not have to have a Cricut Machine to make these. You can always cut out your patterns by hand by printing out a shamrock shape from your computer then hand cutting it out onto the freezer paper. Here are a few images of what your tees will look like! 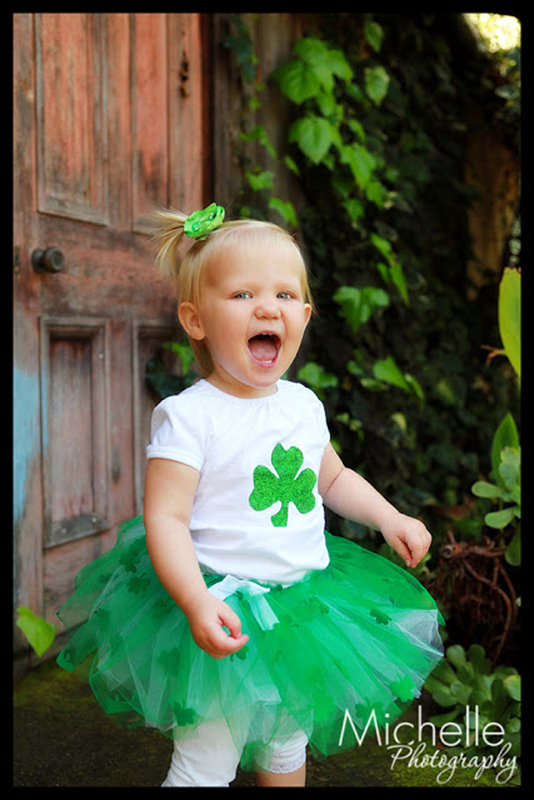 Our friend Sydney so festive and sweet in her St. Patty’s Day attire! Love these Lucky Littles! 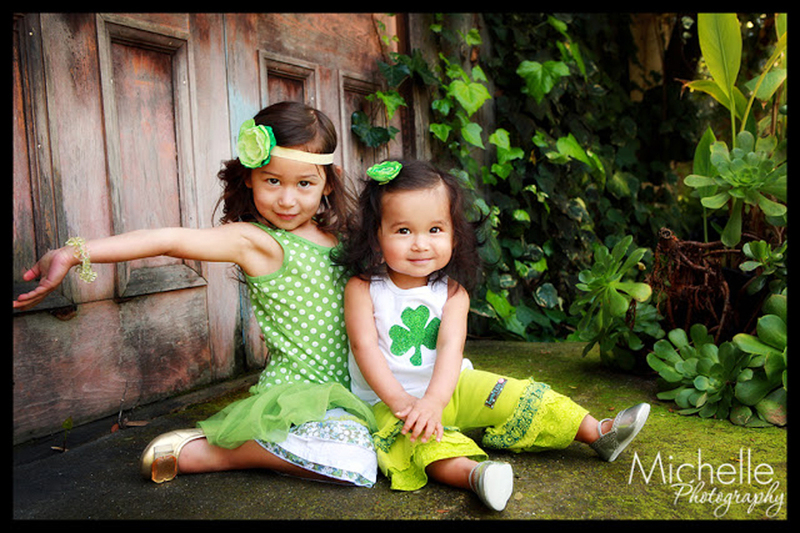 For more fun and “What we will NOT be doing for St. Patrick’s Day” click HERE or on the images below. « What we will NOT be doing for St. Patrick’s Day!